CAN’s Rural Employment Hubs Project is part of a larger programme called the Bridge Project. The Bridge Project brings together Partners and Agencies in Northumberland to improve peoples lives, create opportunities and make a positive contribution to Northumberland communities and the regional economy. The aim of the Employment Hubs is to support unemployed residents in rural areas of Northumberland to overcome the multiple barriers they face when looking to move into employment. The project recognizes that people in rural areas face additional difficulties when searching for work, over and above those faced by people in urban areas including fewer local employment/volunteering/training opportunities, higher travel costs both to sign on and to attend interviews, and poor internet connections making online job searches more difficult. Our Employment Hubs operate on a drop-in basis and provide support tailored to the individual’s needs (whether they are young or old, have physical disabilities, mental health problems or learning disabilities, parental or caring responsibilities or face any other issues that might affect their ability to work). 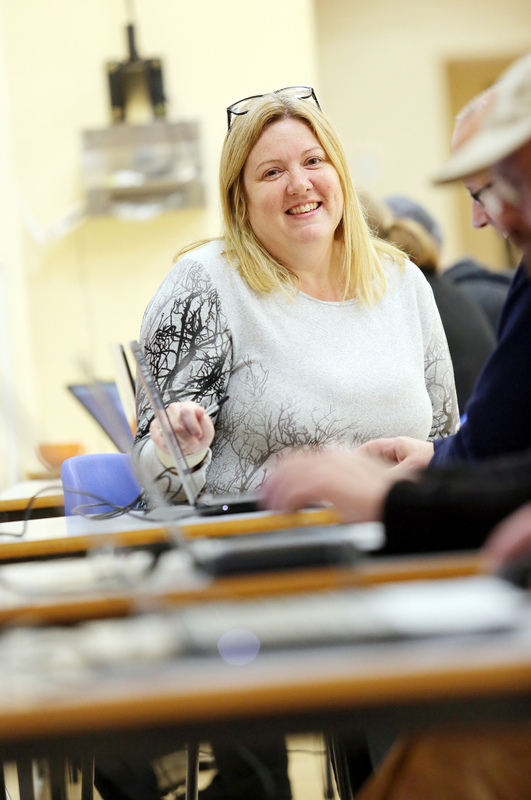 Members are offered, access to the internet to carry out job search activities, one to one support with IT skills, planning job seeking activities, and addressing any underlying health and social welfare issues that may limit their ability to seek work. We also arrange group sessions on issues such as writing CVs and application letters, preparing for interviews, managing finances and staying healthy on a low income. We aim to offer a warm and supportive environment where members can feel able to relax and meet with other unemployed people for mutual support. Tea and coffee and a light lunch are available free of charge., and travel expenses are available. Every Tuesday and Thursday, 9.30am - 2.30am at Amble Drop-In Centre, Dilston Terrace Amble: Full Details available here.